No doubt pools are great fun for all the family but they can also be dangerous, especially if you have kids and pets in the house. That is why ensuring safety by complying with your area’s pool fencing regulations is so important. With compliant pool fencing in place, we can feel confident that we’re doing our bit to reduce drowning risk in our community. Pool fencing regulations in Victoria follow the Australia-wide Swimming Pool Fencing Regulations with only a few details changed. Here are the safety checklist for your pool fencing according to that. Barrier height: The minimum pool fence and gate height is 1200mm (1.2m). Spacing: Spacing and holes in the fence must not be greater than 100mm (10cm). Ground clearance from the bottom of the fence also must not be greater than 100mm (10cm). Material: The barrier should be made from durable material such as timber, steel or glass. Non-climbable zone (NCZ): Your fence must not be built near trees, barbeques or things like pot plants or chairs that children can use to climb into the pool area. The minimum requirement of NCZ (radius 900mm, fence height 1200mm) must be maintained. Pool gates: Swimming pool gates must be self-latching and self-closing, and gates must swing outwards from the swimming pool or spa area. 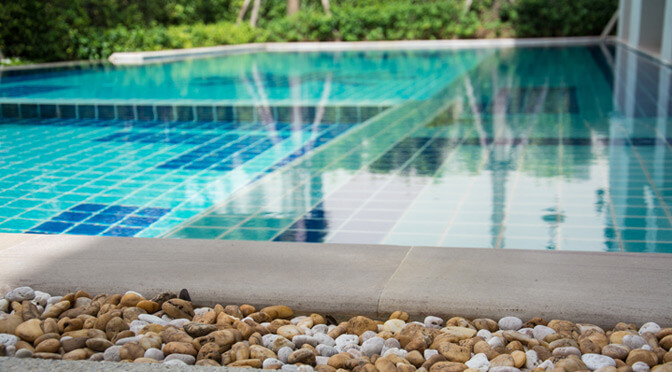 When doing business with SN Fencing, you can rest assured knowing all products provided are certified Australian products and your pool fencing is compliant with all local regulations. Your pool fencing will be designed with safety in mind, diligently measured and expertly installed.